The idea for these came to me while I was thinking of something that might be good for a Super Bowl party. These work perfectly for that or pretty much any time. They are really tasty with gooey cheese and bacon with a hint of tomato and mustard, just a like a real cheeseburger! Wrap them in lettuce with some sliced tomatoes for the full effect. All the flavor of a bacon cheeseburger rolled into one! 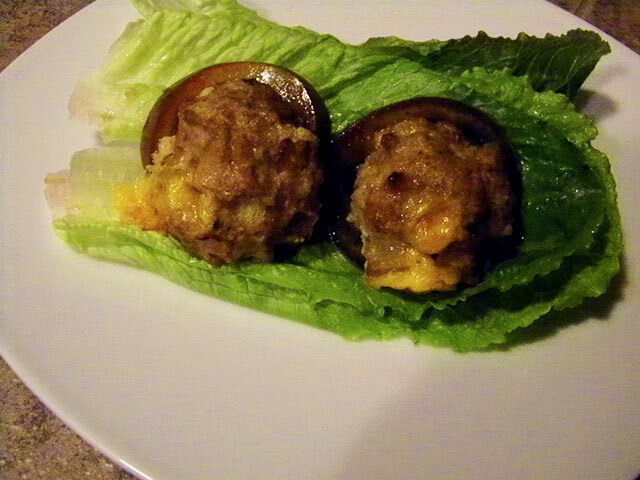 I made my meatballs a little bigger because I wanted to make a lettuce wrap. If you want more of an appetizer finger food you can make them smaller (use one cube of cheese per meatball) and bake for about 20 minutes.